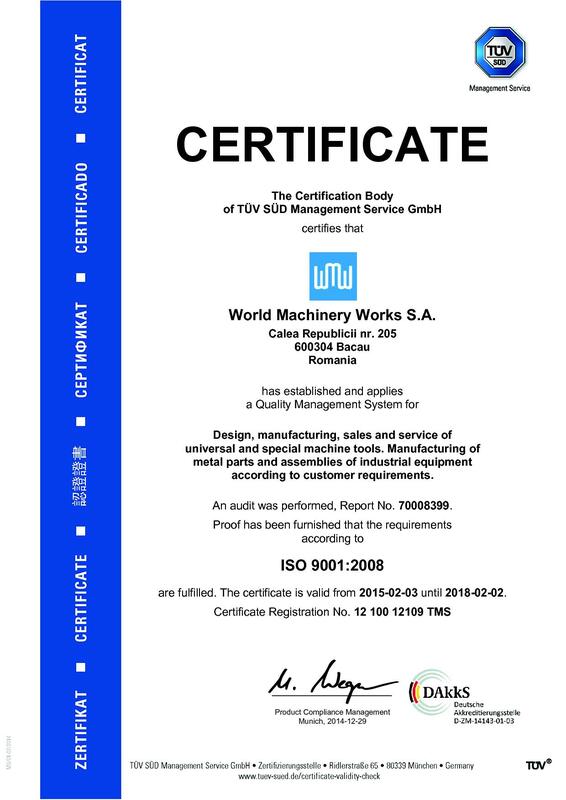 Our Quality Management System is in compliance with ISO 9001: 2008 and has been certified by TUV - Germany since 1996. 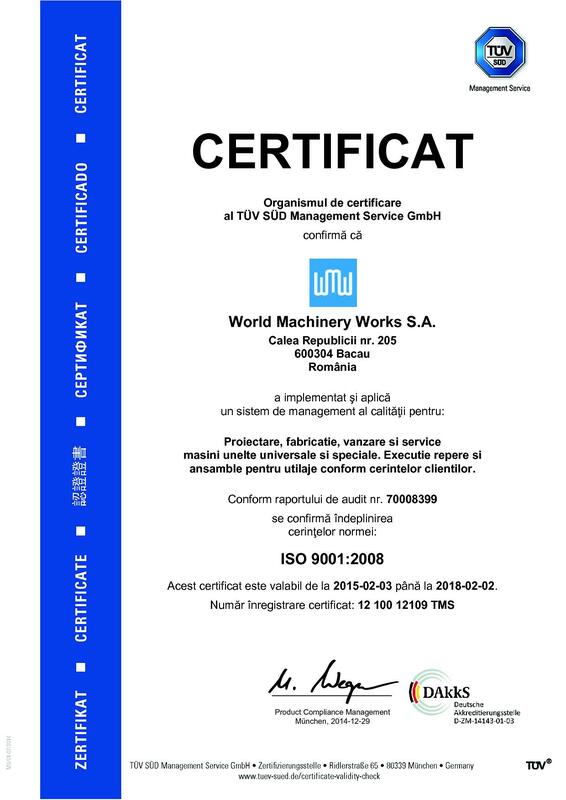 WORLD MACHINERY WORKS has also met the demands of the National Regulations for Quality Assurance, Series AQ-04, since 1985. Maintaining a system of continuous improvement and customer satisfaction, together with continued employee training, assures exceptional quality and reliability of our products.